Detroit police are under fire … literally. 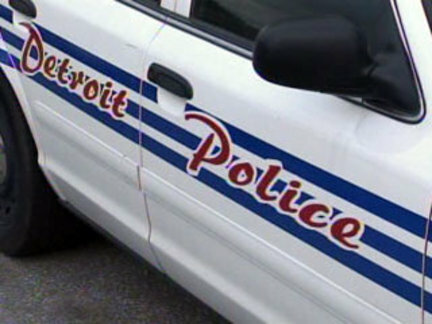 *Detroit is entering a state of emergency with crime and homicides rivaling those of a town in the forging of the West. The city’s crime rates have gotten so out of control that it appears there’s an unspoken evacuation of the city. Now that the police department is so understaffed, underpaid, and overworked, they are leaving with the residents. But those that have decided to ride it out just put visitors on alert with the “Enter At Your Own Risk” rally that was held Saturday in front of Comerica Park. It’s so sad to hear my hometown sinking in despair like this. The police are not exaggerating either. Glad I left a few years back and haven’t been back to visit. Wow this is really sad, whenever I hear of Detroit I think of Motown where all the Hitsville legends got their start. Detroit has had its share of problems over the years with scandals, that crazy city council member and now the chief of police of all people. Those city officials are held at a much higher standard, if they don’t know how to act, what do they expect from the citizens of Detroit?